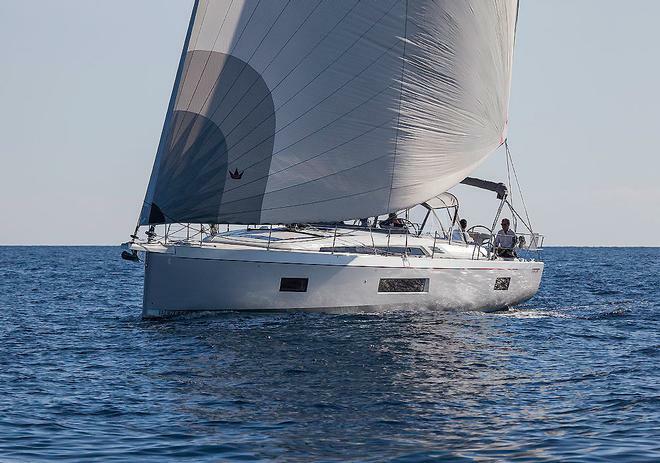 Unequivocally, it has been a delight to be in Barcelona to test the new Beneteau Oceanis 51.1. This is a vessel that has been quite captivating, from both an aesthetic and technology point of view. To actually see it in the flesh, against its other new siblings, does indeed serve to indicate more than a new direction, even if they are baby steps to begin the journey. Unlike a racing boat, a cruiser does have to have a certain appeal beyond its function. Unlike charging across the ocean or around the cans, a cruiser is viewed by its owner in marinas and from ashore in the most delightful bays on the planet. Something that is too powerful, too beamy, too stumpy or suffering from other detracting features just simply will not work. Too that end, the plumb bow, serious chine from knuckle to transom, chamfer of the topsides into the foredeck, sleek profile and elegant coach house definitely fit the bill. 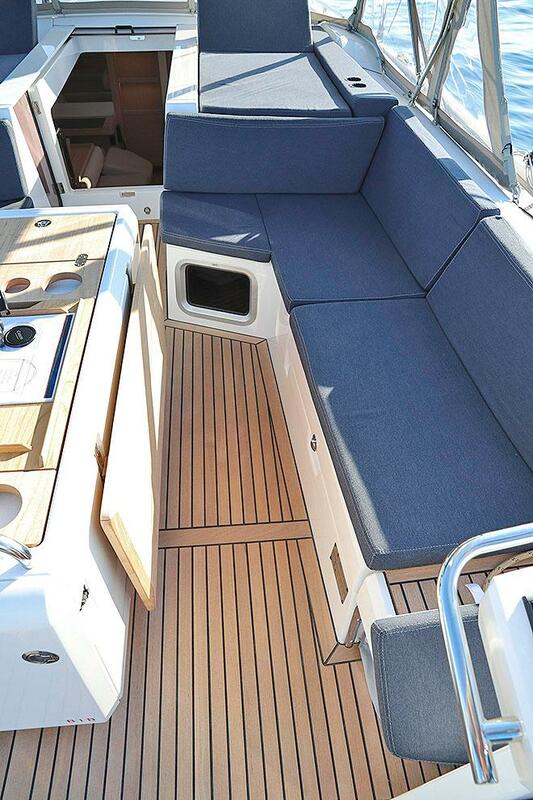 Yet this is not just about the new shape as represented by the Beneteau Oceanis 51.1. On the Jeanneau Sun Odyssey 440/490, the ‘ramps' taking the deck from behind the wheel up to the sides where you can walk around comfortably and unhindered, and the walk-through shrouds, along with their own interpretation of the more volume inboard question, also make a statement. So just what is that? Well, in a way it is no different to the paradigm that the earlier incarnations of these sorts of boats presented to the market in the ‘90s. It does mean, aesthetically at least, that these sorts of boats move away further from brands like X-Yachts and Dufour. In turn that separation means greater market choice, and than can never be a bad thing. Yet to be clear, we are not talking about being hugely radical. These craft are not about going over 15 knots, where everything is too wet, and certainly too uncomfortable. In the case of the Beneteau Oceanis 51.1 at least, it is about the speedy progress from A to B, with ease of use and overall comfort firmly in mind. Once at the anchorage, it is about maximising the new world of cruising that is far less about heading to windward for days on end, and much more about enjoying the time at anchor. After all, in these fast paced days that is exactly what owners are wishing to do. Maximise the right time. 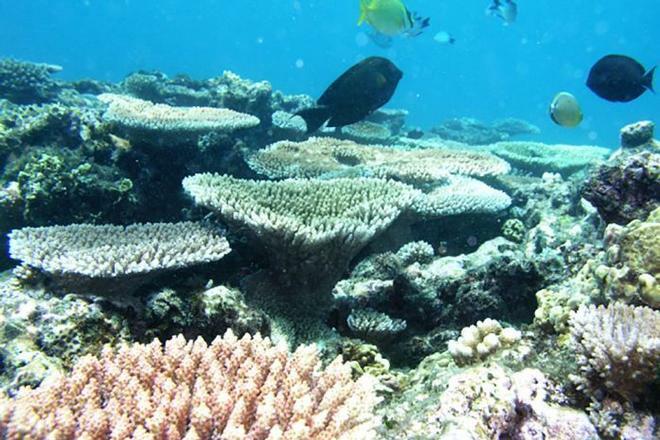 As a part of all of that, you then have the aspect of how the boat rides at anchor, and with all bays being busier than ever, this too becomes crucial, and once again, hull form has a huge part to play. In all, this new era represents the very essence of the new world, the new market, the new cruiser, and that can never be a bad thing, for the times change, and going back now seems more and more unlikely as the time marches inexorably on. Today you will find that we have tales for you about Old Ironsides, Jon Sanders, ARC, England and Scotland, Antigua, Whales, recovery in the Caribbean, Tahiti does look nice, so too Fiji, Oliver Hazard Perry, CZone, Columbus, Antartica, and Kristen Anderson gives us a very personal look at getting there, turtles, Clippers in the Whitsundays, enjoying Pittwater with Multihull Solutions, The Great Barrier Reef, and shipping containers, as well as much more.